The Elite 8 is here and today two teams will punch their ticket to Indianapolis for the Final Four. There are two great games today that will not disappoint. The match up of the day is a rematch of last year’s Elite 8 game, Arizona vs Wisconsin. Last year Wisconsin defeated the Wildcats in an all time classic. The Badgers are one game away from a potential rematch with Kentucky in the Final Four, but they have to get through a hungry Arizona team with a huge chip on their shoulder. They key for Wisconsin is controlling the tempo. If the Badgers are able to establish their tempo I really believe that they will control this game. If they are not able to, it could be a very long day for cheese heads. As we have seen in Wisconsin’s last two games they were not able to run with the speed and athleticism of Oregon and North Carolina. Arizona is 100 times more athletic than UNC and the Fighting Ducks combined. Wisconsin is a great and disciplined team, but they lack speed and athleticism. 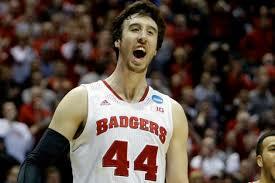 Arizona may be too much for Frank the Tank and his Badgers. 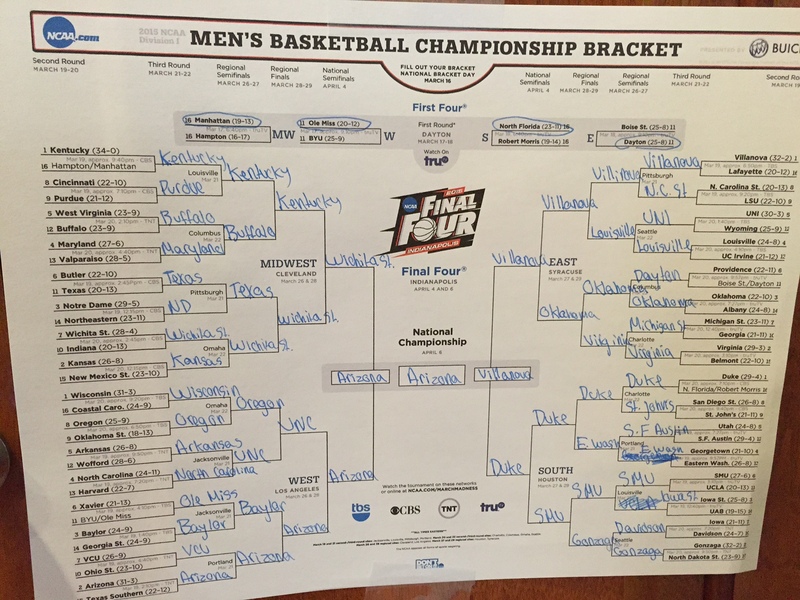 When I created my bracket, I picked Arizona to win it all and so far it is looking great. The Wildcats are just so big and athletic. I watched them dismantle Oregon in the Pac 12 championship game. 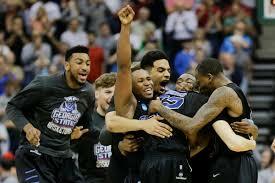 That was the same Oregon team that Wisconsin squeaked by in the round of 32. 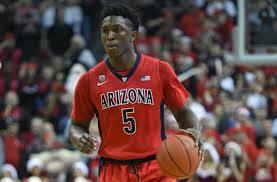 The key for the Wildcats is freshman phnom, Stanley Johnson. Johnson undoubtedly will be a top 5 pick in next year’s NBA draft and he will be matched up with Wisconsin’s Nigel Hayes. Hayes is a great player, but I believe this is a big mismatch because Johnson will easily take him off the dribble. Stanley Johnson must have an enormous game if Arizona wants to strike revenge and make the Final Four. I am staying true to my bracket, Arizona will over power Wisconsin and taste how sweet revenge really is. The round of 32 is here and every team has fought and earned their way to have a chance to go to the Sweet 16 (except for UCLA). If you thought that the round of 64 was crazy, just wait the madness hasn’t even reached its peak. I will be previewing the marquee game of the day and also make brief predictions on the rest of the games. Today’s Matchup of the day is 6 seeded Xavier Musketeers vs the 14 seeded Georgia State Panthers. In just their second year in the Big East ,the Musketeers have made a name for themselves after moving out of the A-10. What really stands out about this team is their efficiency on the defensive side of the court. They shut down a hot Ole Miss team who were coming off a 94 point game. 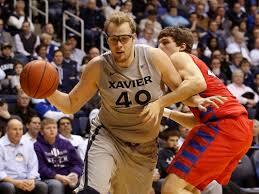 The focal point of the game for Xavier has to be their monster in the paint Matt Stainbrook . He is the heart and soul of this Xavier team as well as their leading scorer and rebounder. Georgia State struggles in the post so look for Stainbrook to exploit that weakness. After Georgia State’s emotional upset vs 3 seeded Baylor, the Panthers are ready to try on the glass slipper. The Panthers beat the Bears without their starting point guard who is their leading scorer. This is a very dangerous team that could make an Elite 8 run. Three point shooting is a huge factor, the Panthers are lights out from three. Also this team has some tourney experience. The last time Kevin Ware was in March Madness, he won the National Championship with Louisville after suffering his devastating injury. Ryan Harrow is the key for Ron Hunter’s Panthers to pull off another upset. The Kentucky transfer is arguably the best player on this team and having him back in the picture just makes this hungry GSU team even scarier. 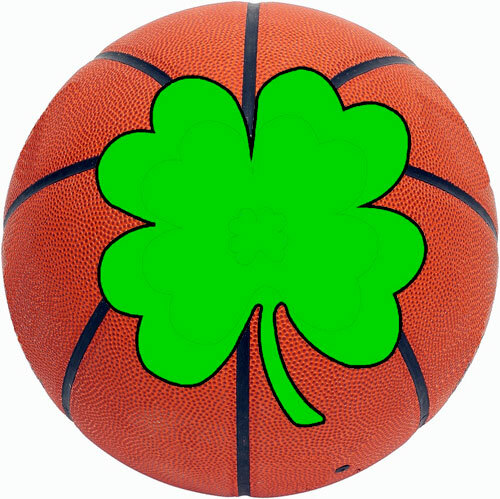 Get ready for a great tournament and Happy St. Patrick’s Day!